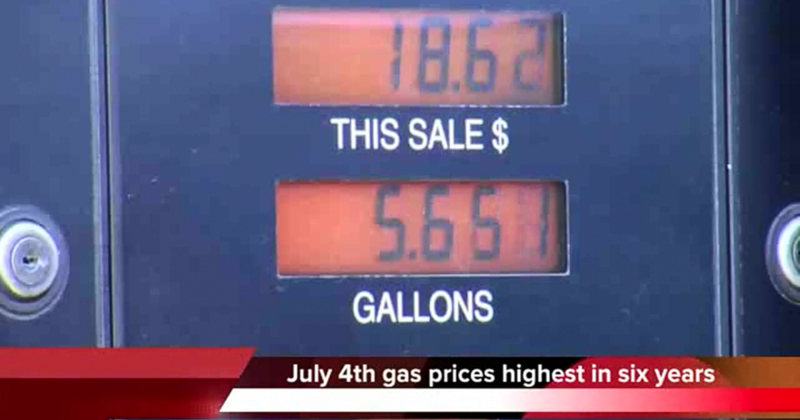 One thing drivers will not be liberated from this Fourth of July weekend is high gas prices. This July 4th will mark 1,290 days that motorists have experienced pain at the pump with gas over $3 a gallon. “Prices could climb higher if there are new developments in Iraq or a major hurricane,” AAA warns. Reasons for the higher prices include “market fear about Iraq,” which it said kept prices from declining in June. However, AAA still forecast that 41 million Americans would travel over the holiday weekend, most of them (34.9 million) by road. In the Western U.S., drivers have it even worse, according to Bloomberg Businessweek. On July 1, it reported regular gasoline was already more than $4-a-gallon on the West Coast. Unfortunately, while the uncertainty of the Middle East rages on, hard working Americans continue to suffer with high gas prices. Adding to the frustration of high gasoline prices, President Obama refuses to approve the Keystone XL pipeline.